It makes it easier to find a specific habit because the separation breaks up the monotony of plain black words, so you don’t have to sift through the endless sea of a giant block of text. It adds a bit of visual unity to the spread. The color(s) I use to make the divider is/are always the one(s) that I’m using for the color scheme of all of that particular month’s spreads. However, I don't suggest doing this if you've just started using a tracker and are still pretty unsure of what you want to track. 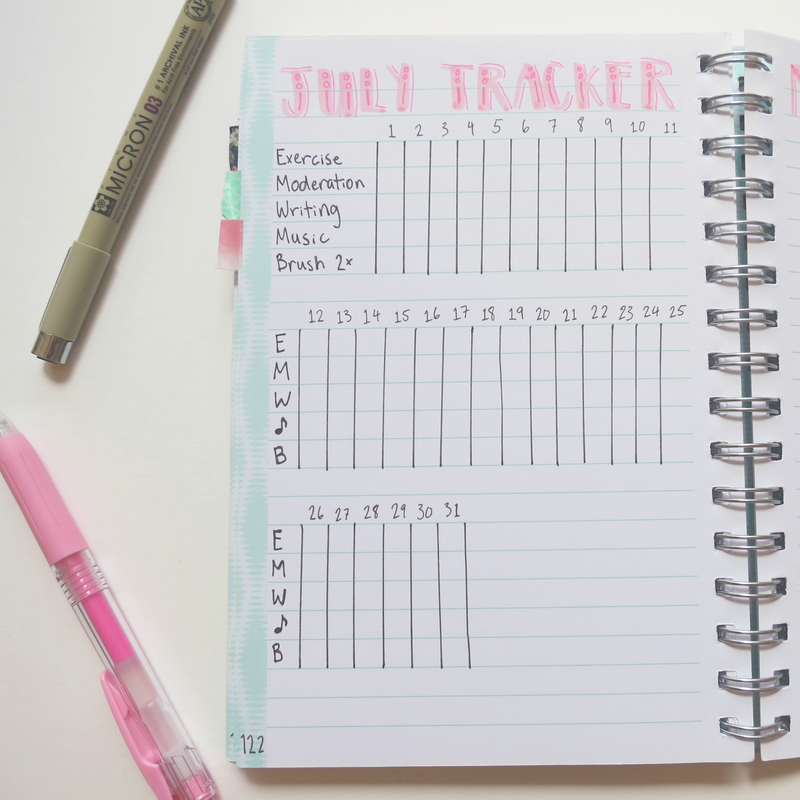 For example, when I set up my bullet journal for the very first time, I realized that I wanted to track one more thing after I finished making the tracker spread. If I had started using categories from the get-go, then that would've ruined the tracker's aesthetic. So, if you're not an experienced bullet journal tracker user, then leave room for one or two more items in the spread. In addition, if you’re tracking things that aren’t habits (e.g. when was the last time you washed your sheets, cleaned your bathroom, etc. ), then it might be helpful to keep separate trackers for habits and non-habits. For habits, it would be better to have a new one each month, but with general activities that aren’t things that you’re trying to do as often as possible, having a tracker that spans over several months would probably be better. As you can see above, all of the activities that are trying to be encouraged are put together, and the non-habit things in the tracker are put together. It's a little bit arbitrary, but I think organizing your bullet journal’s tracker like this is better because you can see at a glance if you’ve been doing well with your habits. If the non-habits are mixed in with the habits, then it looks like you’ve been doing the habits fewer times than you actually have been, and this can lower morale unnecessarily. If you don't want to make categories within a single tracker, then you could make completely different trackers. You could have one with all of your habits and one with all of your non-habits, and you could even split up the habit trackers into separate categorized trackers. Additionally, if you're not tracking that many things, then you can make multiple trackers for each individual habit if you find it hard to look at one big graph. However, this does take significantly longer to draw out. For habits, you should word each item as things that you want to do. For example, write "no junk food" instead of "junk food" or "no spending" instead of "unnecessary spending." That way, your reward is that you get to fill out more boxes, which is a much better incentive than not getting to fill out boxes. This also means that the better you do with your habits, the more colorful and "complete" your tracker is. 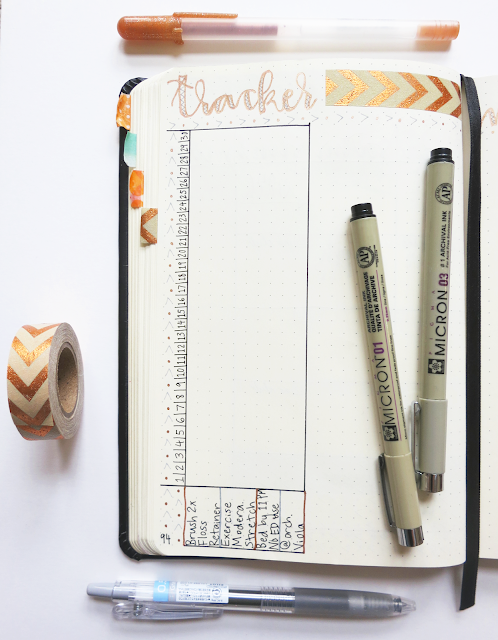 In order to make your bujo tracker accurately reflect your activities, you should make filling it out part of your daily planning routine. I try to fill out my tracker at night, after I make the next day's daily spread. Most people make their tracker a monthly one that's on its own separate page. However, if you constantly forget to fill it out, then you can incorporate it onto your weekly spreads (if you use one). You could also even do it on your daily spread, though this is only efficient if you're tracking just a couple of habits. This is just a random thing, but I think the best way to fill out a box in a tracker is by using diagonal lines (like you can see in the above pictures). It's quick and easy to do but still looks nice, especially when you're completely done with the month and you're done filling out the spread. 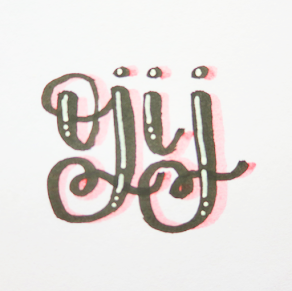 If this still takes too long to do for your taste, you could use a marker or highlighter to completely fill the box in one swift stroke, or you could just mark a dot in the center of the box. 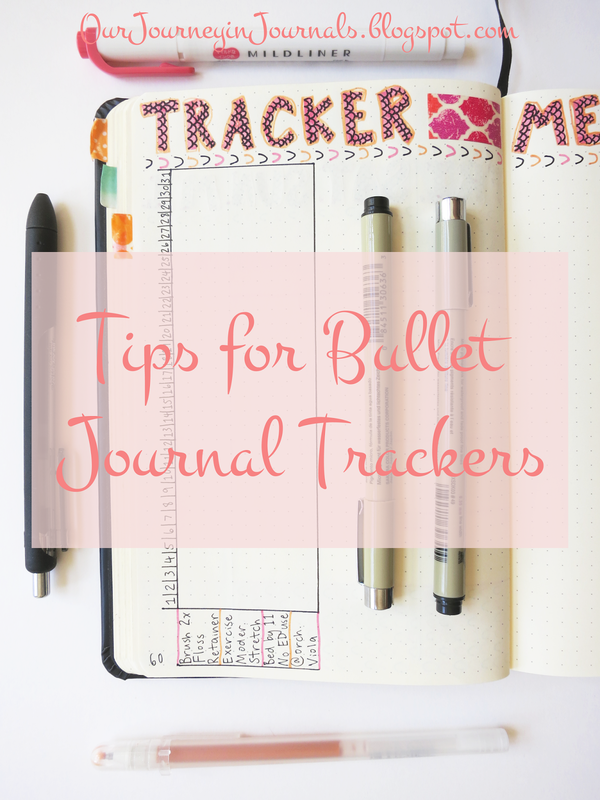 For your tracker to not be a complete waste of time, you should try to cut down on the amount of things that you track in your bullet journal; narrow it down only to things that you actually need. It's just silly and wasteful to include things in your tracker that aren't completely necessary. In addition, you should try setting a goal each month for the habits in your tracker; it can be more motivating if you have quantitative way to measure your success each month. Count up your filled out boxes at the end of the month for each habit, and use those numbers as a guide for what you should aim for next month. What If My Notebook Has Less Than 31 Lines? Do what I used to do! I don't really know how to explain it, so just look at the picture. This is what I did with my first bullet journal, whose notebook only had 24 lines. The only drawback to this is that you'll only be able to track a couple of things. 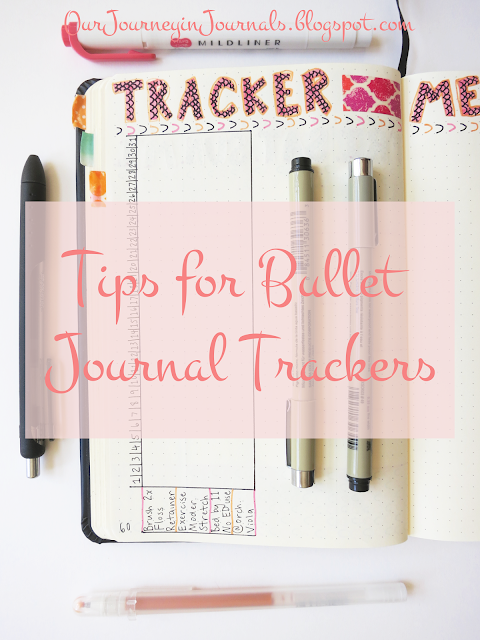 So those are all the tips I have for you in regards to using a bullet journal tracker; I hope you found it helpful, and good luck with your future New Year's resolutions in 2017! 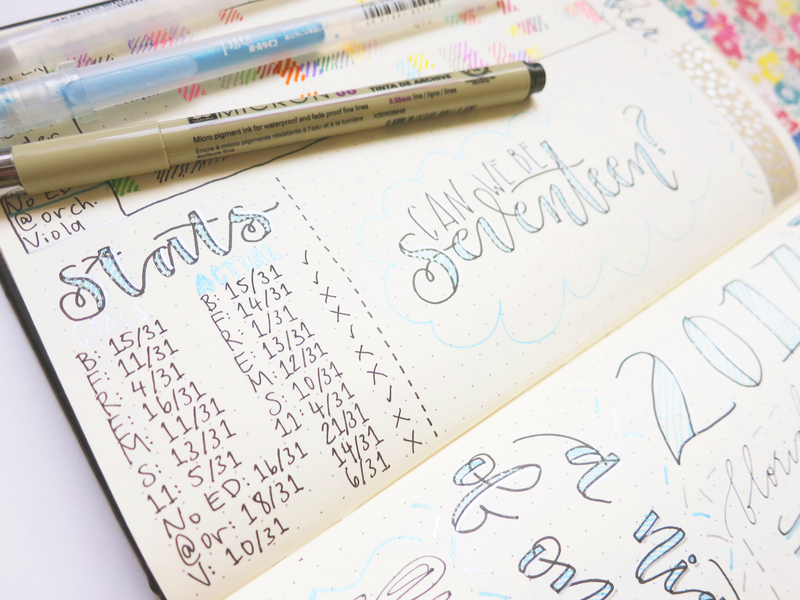 What tips do you have for using a bujo tracker? Tell me in the comments down below!